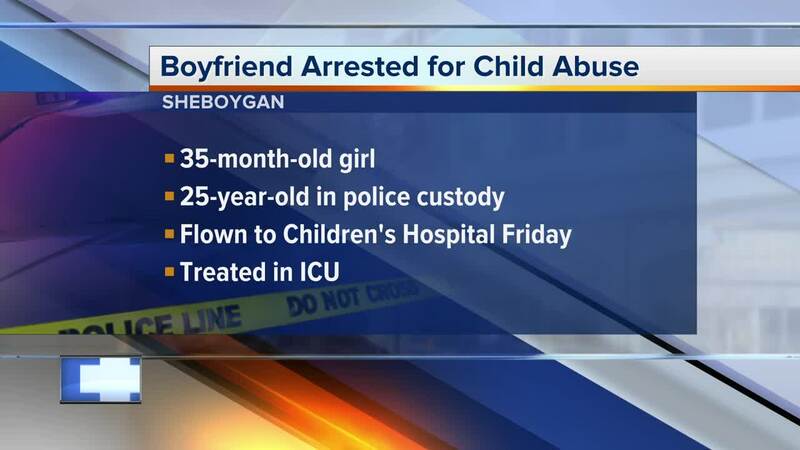 Police say Friday a 25-year-old caregiver transported the unresponsive girl to Memorial Hospital, where she was later transferred via Flight for Life to Children's Hospital of Wisconsin. The girl was diagnosed with severe life-threatening injuries as a result of blunt force trauma consistent with abuse. The caregiver is said to have been in a relationship with the toddler's mother and was caring for the girl at his residence. The suspect was taken into custody Friday at Sheboygan County Detention Center on a probation hold. According to police, the man remains in custody and charges of felony child abuse and possession of marijuana have been referred to the District Attorney's Office. The toddler still remains in the intensive care unit at Children's Hospital of Wisconsin. The investigation is ongoing by both Sheboygan Police as well as the county's Department of Social Services.